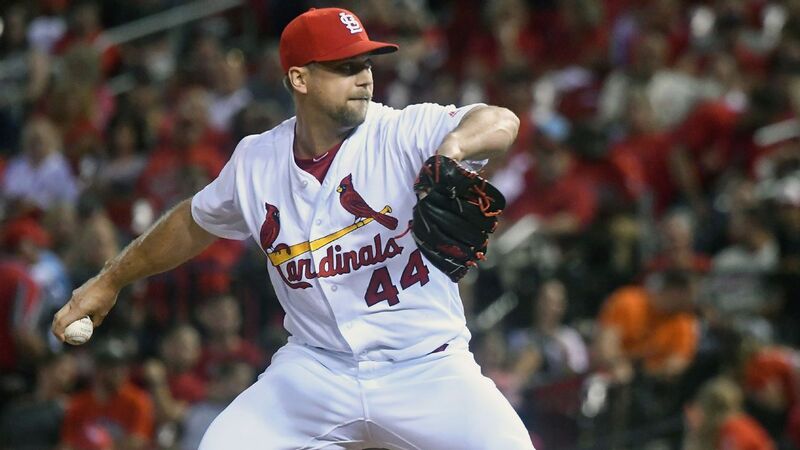 WASHINGTON — Trevor Rosenthal could earn $30 million over two years if he becomes the Washington Nationals‘ closer and regularly finishes games. Coming back from Tommy John surgery, Rosenthal finalized a one-year contract this week that guarantees him $7 million. The deal announced last weekend includes a $6 million salary for next season and a $10 million mutual option for 2020 with a $1 million buyout to be paid if the team declines the option. There also is a $15 million conditional player option for 2020 that Rosenthal can exercise if he has 50 games pitched or 30 games finished next year. Rosenthal can earn $500,000 each for 25, 30, 35 and 40 games pitched next year, $1 million apiece for 45 and 50, $1 million each for 20, 30 and 40 games finished, and $2 million apiece for 50 and 60. There is an $8 million maximum. If the mutual option for 2020 is exercised, he could earn $6 million in performances that year for games finished: $2 million each for 30, 40 and 50. He would get a $1 million assignment bonus if traded. The deal also includes award bonuses. Rosenthal, a 28-year-old right-hander, had Tommy John surgery late in the 2017 season and was released by the Cardinals that November. He has 121 saves, including 45 in 2014 and a career-high 48 the following year, when he was an NL All-Star. Left-hander Sean Doolittle is Washington’s closer. He had a 1.60 ERA in 43 appearances and 25 saves in 26 opportunities in 2018 but missed two months with a foot injury. The Nationals picked up his $6 million option for 2019.